Demonstration model of a "Spacehaler" meterd-dose inhaler (MDI). 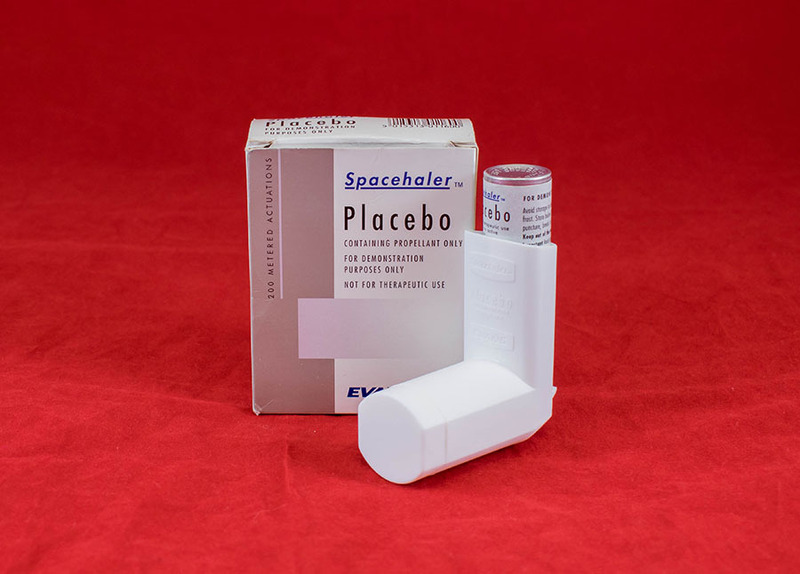 The Spacehaler is designed to reduce the velocity of the aerosol cloud that emerges from the inhaler, without the need for an additional spacer. In cardboard box with instruction leaflet. 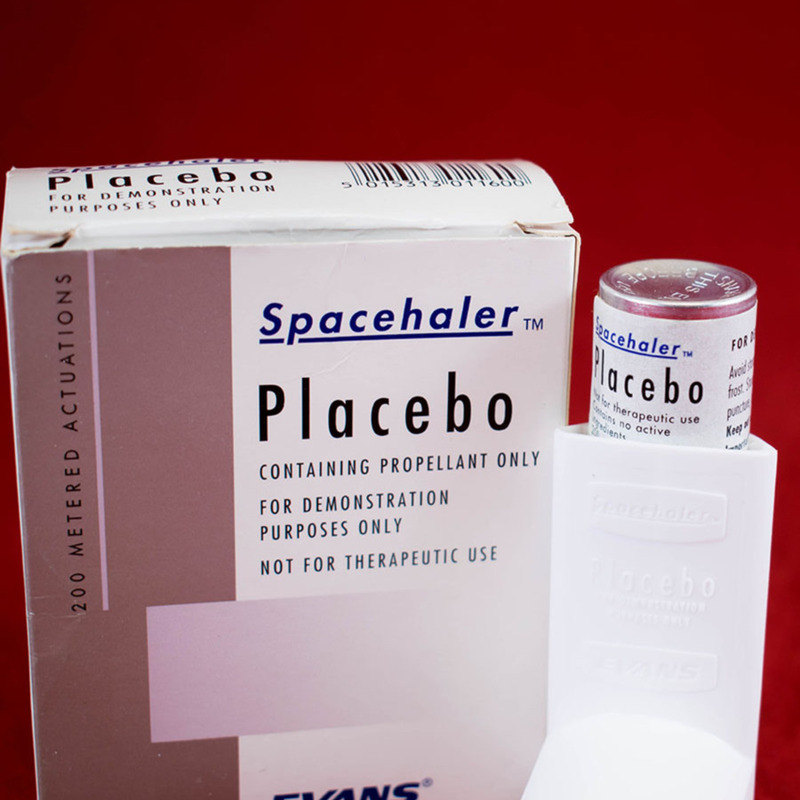 Evans Medical Ltd.; 1959-1998; Pharmaceutical company, “Placebo Spacehaler,” Heritage, accessed April 20, 2019, https://heritage.rcpsg.ac.uk/items/show/1036. 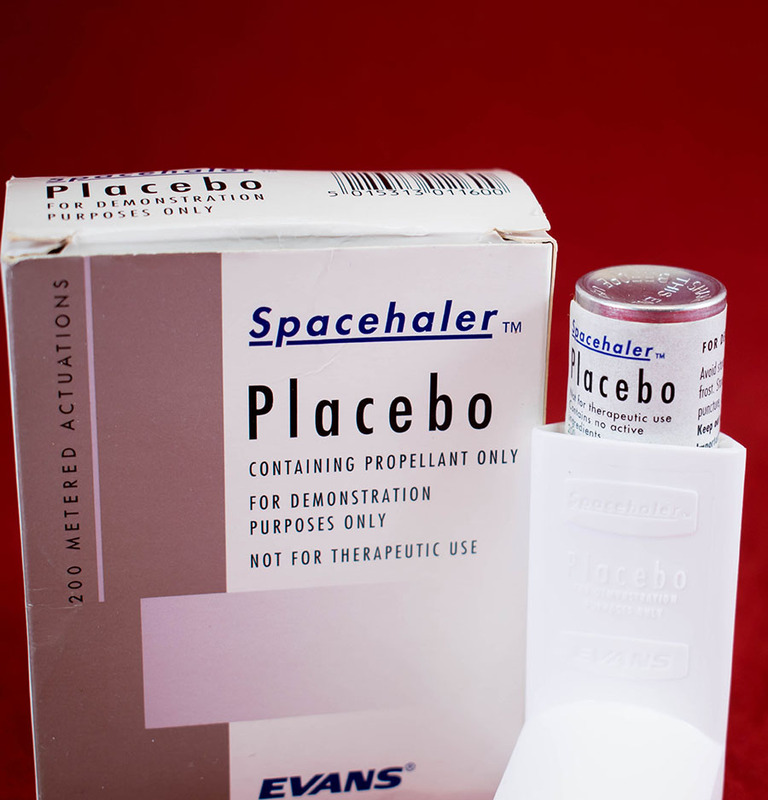 Description: Demonstration model of a "Spacehaler" meterd-dose inhaler (MDI). 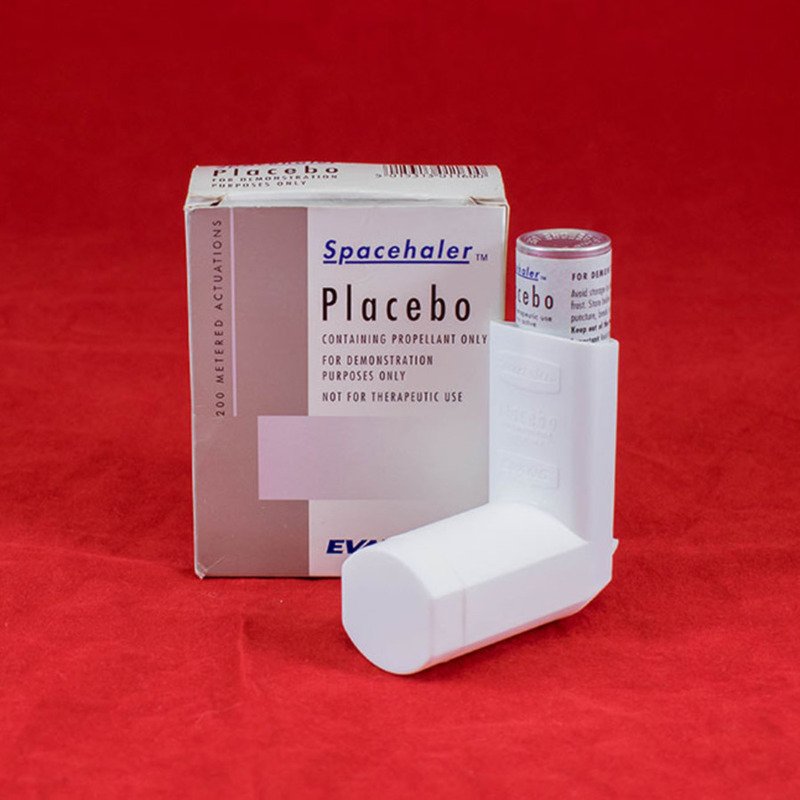 The Spacehaler is designed to reduce the velocity of the aerosol cloud that emerges from the inhaler, without the need for an additional spacer. In cardboard box with instruction leaflet.